I picked this up from the Library today, because it was on the end shelf. I hadn’t planned on reading any more “how to write” books, but I loved John Marsden’s books as a teen, so I was curious to hear what he had to say. You can tell from the very first page that John loves language, and you will too, once you have finished this book. He really shows you how language can come alive; how to make it work, how to avoid banality and cliche, how to make your stories sing, and all shown by example. I started reading “Kelvin” halfway through January, and it feels like it’s taken me almost that long to compose this review. The problem is that I want to rave, and I’m having to restrain my enthusiasm so I can compose some intelligent arguments as to why you should read this book. So let me get the raving out of the way first. I really enjoyed this book. I expected to be educated and enlightened, but I never expected to be entertained as well. I laughed more than once, and enjoyed sharing quotes and tidbits with my geeky husband, who is now nose-deep in the book himself. Author Marcus Chown is the cosmology consultant to New Scientist, and this is the latest in a string of books about the universe. In “Kelvin”, Chown promises to show us what everyday things tell us about the universe, and that promise is fulfilled. Each chapter looks at a single feature of the world that we know, and uses that to explain the bizarro world of quantum physics in simple, straightforward language. And it’s brilliant. Chown leads the reader gradually from simple daily observations to the insane theories of how the universe works, so that by the time you finish a section you’re ready for the next mind-boggling revelation. It’s a book worth putting down and thinking about at regular intervals, because there is a lot to absorb. But while the book is intense reading, it escapes being dull and heavy. Chown has a talent for exposing not just the science, but the people behind it. I never knew physicists were such interesting creatures. The anecdotes and histories scattered throughout the text are fascinating and give a welcome human touch. This is a book best served in a big comfy chair with a glass of something fortifying. It’s a book for anyone who looks at the world and asks “why?” And if you’re a speculative fiction writer, this book is 200 pages of ideas. The star crucibles, for example, just blew me away completely. Wonderful stuff. Science has never been so entertaining. 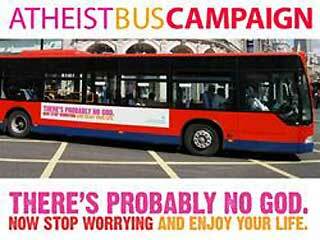 Who remembers the Atheist Bus Campaign? When I first heard about it, I couldn’t decide whether to be delighted or appalled. Atheism, in general, is not a movement or an organisation or in any way controlled. It’s about individuals choosing logic over dogma, and rejecting the idea of an overarching consciousness controlling the universe. To have a campaign about it seemed, to me, to go against the principles behind atheism. I eventually decided it was amusing and forgot about it. Fast forward to Oct 2009 when Harper Collins sent me a copy of The Atheist’s Guide to Christmas to review. I had no idea they’d even made a book from the campaign. It turns out that the campaign and the book were created by the British Humanist Society. Driving force Ariane Sherine has gathered 42 short stories and articles celebrating atheism, talking about life without religion, about the universe, space, humans and what we are. It’s brilliant. Entertaining, moving, thought-provoking and elevating, there’s something in this collection for everyone. It’s not a book about bashing the religious. It’s a book about Christmas for those of us who just do it for family, for friends, for companionship, without the underlying Christian message. And it’s funny. The writers that editor Sherine has chosen have done a lovely job of bringing out the human in humanist, and reminding us about what it is that makes us who we are. Christmas, as a practicing Catholic child, was seen as a reward for lots and lots and lots of church. Every birthday party I attended was clearly a day set aside specifically to celebrate one person’s most important life event…but as it turns out, Jesus was born of a virgin on December 25th and they deem it a miracle. How can any kid compete with that? Robins, as is well known, have an unusually high level of natural Yule – far higher than a mouse. About 13.7 billion years ago, something interesting happened and our universe began. There’s also a great How-To section; How to Have a Peaceful Pagan Christmas, I’m Dreaming of a Green Christmas and How to Decorate the Outside of Your House, and Not Have All Your Neighbours Hate You. I thoroughly enjoyed reading this collection, and would recommend it as a great gift for the hard-to-buy-for person in your life. It’s a book for the thinker, the skeptic, the logical. A really wonderful experience.